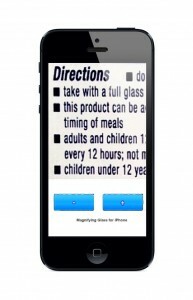 BigFONT is helping people with less than 20/20 vision to read Books, labels, menus etc. After snapping a picture, the app extracts the text in 38 different languages, displays the information in large letters on the screen and reads it back with natural sounding text-to-speech voices. Can’t easily read on your iPhone? BigFONT takes a different approach to text zooming, which makes web browsing on your iPhone a breeze, even if you don’t have the best vision. BigFONT vastly improves the web browsing experience by introducing in-line page zoom with text re-flow/word wrap right on the original web page. The zoom feature re-formats the print to stay inside the display, regardless of the point size. 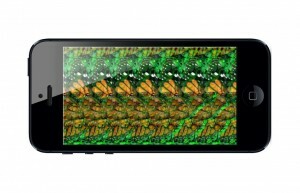 This eliminates horizontal scrolling and allows for easy reading even at highest zoom levels. BigFONT even enables text zoom for many mobile websites like Google search, where zooming is otherwise not possible. With BigFONT you can set up different custom zoom levels of your choice for your safari browser all the way to 80 pt size and activate them as needed by simply pushing a button. Increase the print size of most web pages (some websites don’t support font scaling) and keep pictures and other elements in place to preserve the visual experience of the article you are reading. Read with ease by increasing the print size at the push of a button and make your life a whole lot easier. When looking for long periods of time at a computer screen at a fixed distance, our eye muscles and lenses lose their strength and flexibility, causing major vision problems. Relax your eyes by looking at the included 3D-stereogram images, which focus your vision at a point deep behind the actual picture. This is like looking at a distant object, so your eye muscles adjust the lenses, relaxing and exercising your eyes. Time for new glasses? 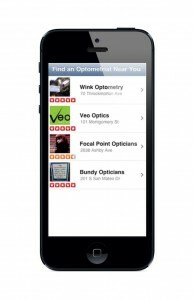 Based on your current GPS position, your iPhone will show you recommended Optometrists with satisfaction ratings and map directions to get you there quickly (works in selected places). Brand-New Feature (OCR) – Magnify and even hear what’s printed on that small label! Simply take a picture of a label, magazine, menu or other hard to read text in 38 different languages or use an image or screenshot from the photo gallery. The text is automatically digitized and the words are displayed on your device in large, easy to read letters. TTS – push a button and listen to a natural sounding voice that reads the digitized text back to you. Share – if you want to edit or share the text, you can copy and paste it into any other application. Enter your email in the box below and hit enter to get a free desktop version of BigFONT and receive the latest updates.